It all began around a thousand years ago, during a time where many discoveries had still not occurred, discoveries we now take for granted. 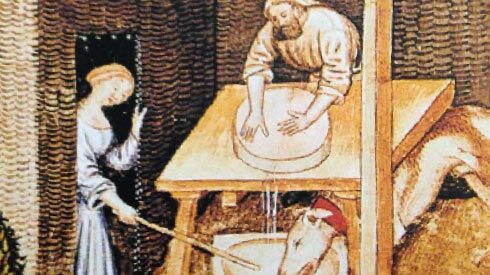 During the Middle Ages people were at the mercy of the environment and had to adapt fast to survive. For agriculture and farming, this meant adapting to the seasonal cycle and to the produce that nature provided each and every month. Food preservation techniques (such as sun-drying and salting) were limited and still very much undeveloped, so a large majority of food would deteriorate rapidly. Milk needed on the day of milking and fresh cheese didn't last much longer than a day. Having reclaimed a marshy area in the Po River plain, the Cistercian monks built Chiaravalle Abbey and started cultivating crops and rearing livestock. Soon after, their land-based economy led to an increase of food production and a surplus of milk, which far exceeded the modest needs of their community and the local population. 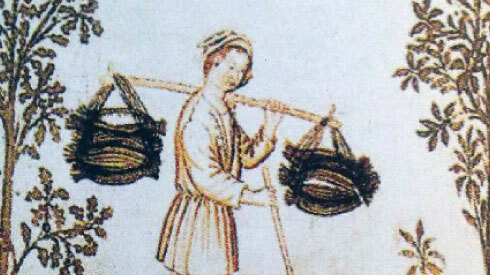 It would have been a shame to waste one of the most nutritious foods available in Middle Ages. Thus, they needed to find a way to be able to preserve the milk for longer periods. Probably after long, thoughtful consideration and a few experiments, the idea of slow cooking the milk, adding rennet and then salting the cheese was the obvious solution. The result was a hard cheese, the flavour of which developed and matured with time, preserving the nutritional properties of the milk and the precious raw material from which it was made. 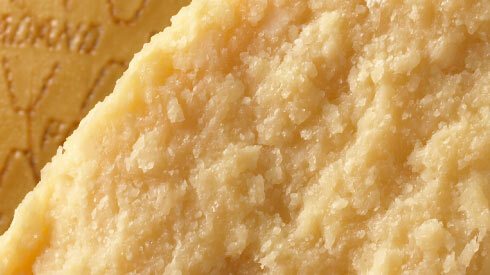 dense "cacio" (cheese) was produced in the monastery cellars, the first true dairies in history. It was here, under the monks' watchful eyes, that certain professional roles such as the "casaro" began to emerge. 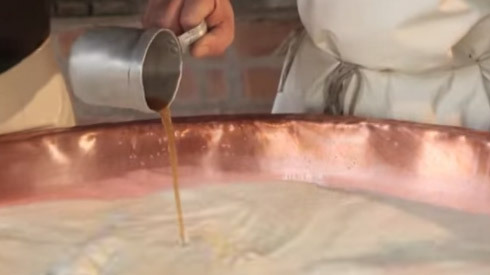 The "casaro" is a true expert in the art of cheese-making. Due to the long ageing process, the monks called their cheese "caseus vetus", "old cheese". The name underlined just one element of Grana Padano that distinguishes it from the traditional, fresh cheeses, which at that time had to be eaten quickly. 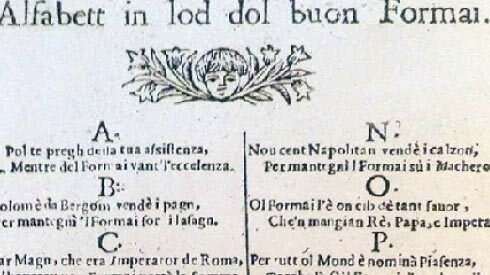 However, being unfamiliar with Latin, peasants at the time called it "formai de grana" or simply "grana", because of its typical grainy texture ("grana" meaning "grain" in Italian). Every area produced its own "grana", so the name varied according to its geographical origin. 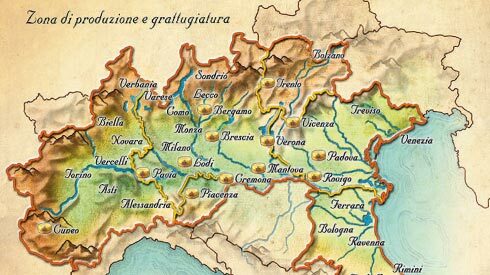 Among the most commonly mentioned, the "grana milanese", from Milan, the "piacentino" (Piacenza), the "mantovano" (Mantua) and the "lodesano" (Lodi) regarded by many as the oldest. Throughout the centuries the Grana Padano produced in the Po Valley became increasingly popular. It was the centrepiece of Renaissance banquets, treasured by princes and dukes. Among the historical records mentioning the cheese, there was a letter from Isabella d'Este, the spouse of Francesco II Gonzaga and Marquess of Mantua. In 1504, Isabella sent the renowned cheese as a gift to her relatives, the Dukes of Ferrara. Grana Padano’s rich nutritional properties, its long shelf-life and its distinctive characteristics and flavour meant that it became an important food source for people living in the country, especially during terrible famines. Grana Padano came to represent an entire culture as it was appreciated by everyone, regardless of economic and social standing. 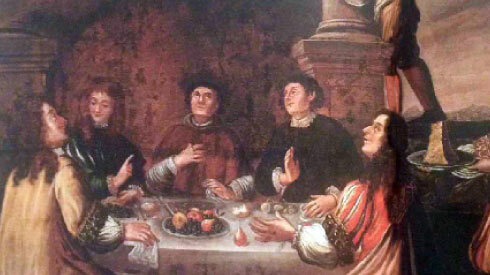 It was highly valued by both the rich and noble, who became accustomed to a rather elaborate and refined cuisine, unlike the poor, whose daily recipes were much more simple and traditional in comparison. With time, the method of transforming milk into "grana" continued to spread, eventually becoming a pillar of the rural economy. 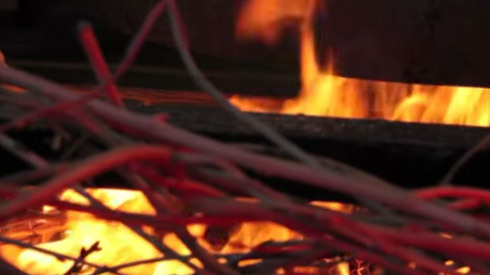 The production technique of "grana" has been handed down, remaining faithful to its traditional process, which is still being used to this day. 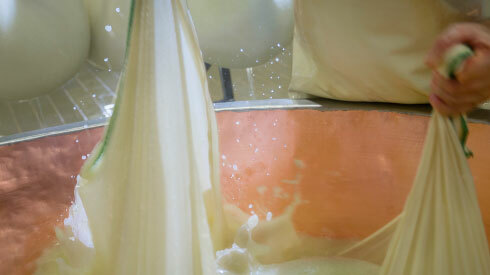 This process continues to ensure that this unique cheese maintains its fragrant qualities and its appeal which has made it famous worldwide. As the gastronomical culture and food practices continue to evolve with time, there is an ever growing need to clearly identify the characteristics and peculiarities of our ancient tradition and specific production techniques. The decision was made to turn the generic name of a traditional cheese, into its very own name, thus making the cheese truly unique. From then on, the term "Grana Padano" would identify only a particular cheese produced in a designated geographical area, using specific raw materials and techniques, and following step-by-step procedures. On the 1st of June in Stresa, Piedmont, on the shores of Lake Maggiore, workers and technicians of the European cheese-making industry signed an agreement defining the rules of the official denomination of cheeses and the identification of their specific features. That day, the experts distinguished two different types of the "Grana Lodigiano" cheese. Today they are now identified as Grana Padano and Parmigiano Reggiano. On the 18th of June, Federlatte (The Federation of Dairy Cooperatives) and Assolatte (The confederation of dairy industries) established the Grana Padano Protection Consortium, which reunited the producers and retailers of the cheese. On the 30th of October, the Italian Republic Presidential Decree no. 1269 was issued. The decree related to the "recognition of the names associated with the methods of processing, the material properties and the production area of cheeses." Amongst these, was Grana Padano. the Grana Padano Protection Consortium assumed the role of overseeing the production and trade of Grana Padano cheese. On December 12th, an agreement was made to confirm the purpose and the aims of the Consortium for the Protection of Grana Padano. The primary purpose was to protect the uniqueness of the cheese. Additionally, it was also to publicise and promote the cheese, through education about its properties; initiatives and activities in order to support local production; regulating distribution and marketing, not just in Italy alone, but globally. 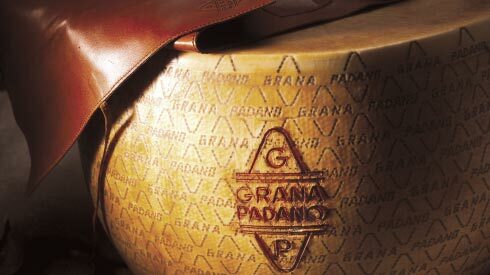 The European Union assigned Grana Padano the DOP status (or PDO in English: Protected Designation of Origin). Following this recognition, in addition to the approval of the Protection Consortium and the Italian Ministry of Agriculture, an external certification company, CSQA, was appointed to ensure that every single Grana Padano wheel is made to the exact specifications required. Between 2002 and 2017, the role of the Grana Padano Cheese Protection Consortium has been renewed, reviewed, and expanded.